Are you seeking to have a new web site built, or a fresh look for your existing one? 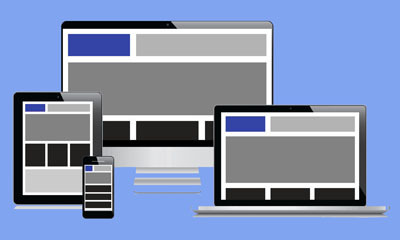 Do you want a responsive design that works across all devices from smart phones, to tablets, and desktops? Need a shopping cart, subscriptions, streaming, or customization? Contact Mediaversal, you’ll be surprised at the advanced web technology we can provide at extremely affordable prices. When it comes to web site development, Mediaversal has over 20 years of experience. From the early days of the internet using HTML, to todays dynamically driven responsive websites built using the Joomla Content Management System, we have done it all. When you select us for your web development project, you are joining a family of delighted customers, each who have found how easy it is to work with us. General information about developing your website, including the process used by Mediaversal to deploy amaizng websites at very reasonable prices. SPECIAL: When you use the above referral link, Mediaversal will install the latest version of Joomla on your primary domain at no cost. This offer is valid for new sites only, and comes with no warranty or additional services without a paid contract with Mediaversal. Disclosure: Mediaversal receives compensation from the hosting provider whose services we recommend. Mediaversal is independently owned and makes this recommendation based on an above average experience with the hosting services provided.